Well, all manner of dramas are happening on our server at the moment. 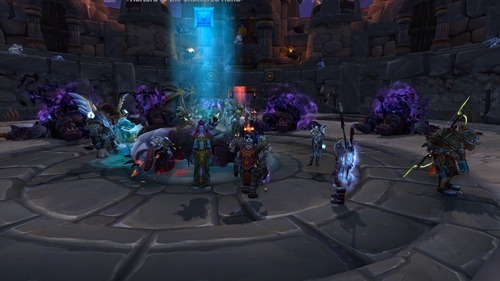 Highmaul has just opened, so raiding has officially started again! We had a good start – everyone got in ok, and we one-shot Kargath Bladefist. And then everything went down the toilet. Looks like the servers are getting DDOS-ed so people have been getting kicked off left right and centre; lag spikes have been hilarious – dead bodies floating around the place. Good times.